Already during the last competitions, we started new members to inspire us. Here we are looking specifically for reinforcing and look forward to new and motivated students. More about jobs you can find here: Application. 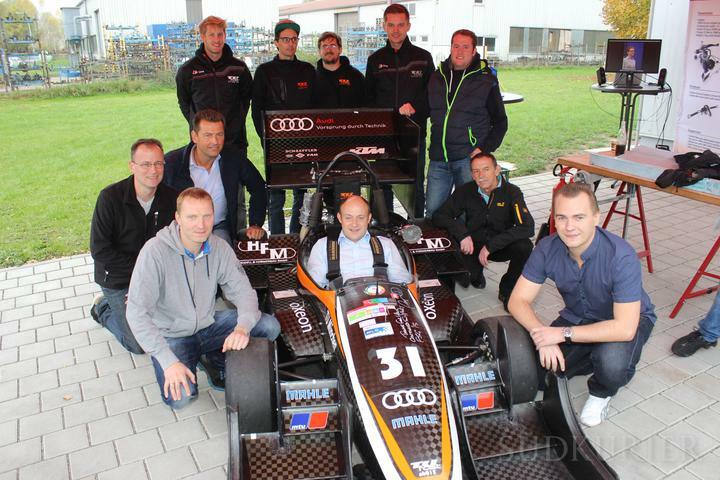 The conclusion of our season was the Formula Student Hungary near Gyor. After a convincing competition course we started with eb015 and nb015 among the top 3 in endurance. Both cars were from the outset recorded fast lap times, but forced problems both in quick succession race was stopped prematurely. Highlights were like at Hockenheim the 2nd Place in the Business Plan Presentation by the combustions, and the 1st place in the Skid Pad under the electric cars. A big thanks goes to Christian Koenen, who supported us numerous on-site, as well as to the Audi AG, the Audi A3 with 5 g-trons comfortable and very energy efficient allowed us to travel to Hungary. The FSG 2015 was provided with some ups and downs this year. Highlights were beside the second place in the presentation of the business plan especially the enormous important title defense in engineering design as well as the second place in autrocross of the combustion powetrtrains. Because of a lost noise reduction part in the time of the endurance we unfortunately became disqualified afterwards. A great thank to all of those sponsors, which visited us in the box, especially the in-tech GmbH, who also makes long nights in the box possible with their catered crates. 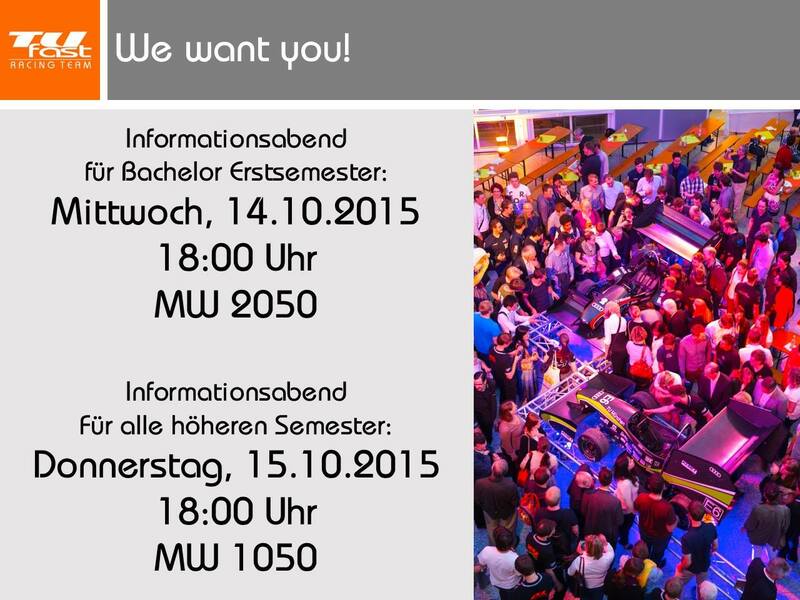 We're looking forward to the FSG 2016!